The currently accepted surgical practice for spinal fusion involves affixing screws to the cancellous bone in the middle of the vertebra to accept a rod connecting and stabilizing the backbones. Unfortunately, this procedure is fraught with complications because the cancellous bone weakens over the patient’s lifetime and may not always support the screws. As a result, elderly patients must often undergo multiple challenging surgeries. That is why the aging population has posed a significant challenge to spinal surgeons. 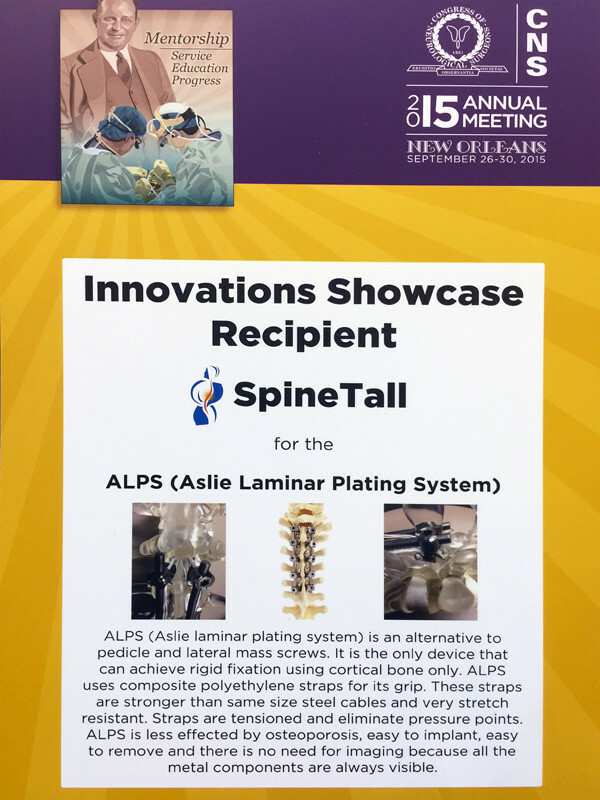 Sacramento Spine Treatment Center’s invention of Aslie Laminar Plating System represents the cutting edge of spine surgery. This device revolutionizes the way spinal surgeons accomplish the difficult task of repairing osteoporotic vertebrae through its use of flexible synthetic straps that wrap around the strongest part of the vertebra to hold the backbones together. This device relies on very strong flexible material that holds onto the cortical bone which is not affected as much as the cancellous bone. 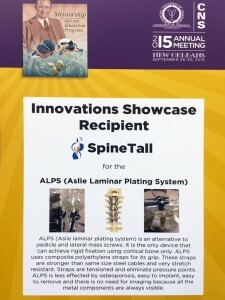 The Aslie Laminar Plating System minimizes the risks associated with bone failure because it safely and reliably holds onto the vertebra and maintains the correction attained during the surgery. It will usher a new era of spinal surgery that will improve the lives of patients everywhere. This kind of cutting edge technology and utilization of evidence based research had greatly improved the quality of life of the patient at Sacramento Spine Treatment Center.